We often don't hear much about new advancements when it comes to house paint, but there are some interesting developments happening—and they have to do with more than just the hottest new colors. Let's look at a few. Self-Cleaning Paints: If this sounds like something from the future it would appear that the future is right around the corner. There is an article in Tech Times that talks about the process of ‘nano-coating’, which creates a paint made from coated titanium dioxide nanoparticles that actually creates a self-cleaning, waterproof surface. Basically, this allows materials to clean themselves while water forms droplets that move over the surface and pick up dirt, viruses as they move. That's something that can make sense for Florida's warm, wet climate. Solar Paint: If wasn’t all that long ago that environmental home products were considered “interesting” by the general public. Now there are increasing ways to live with a minimal impact on the environment—and to cut utility costs. Tesla—known for their electric cars—has developed roofing tiles that double as solar panels that allow you to generate solar power without having to sacrifice aesthetics. But the folks down in Australia have a new innovation out of Australia that’s potentially groundbreaking. 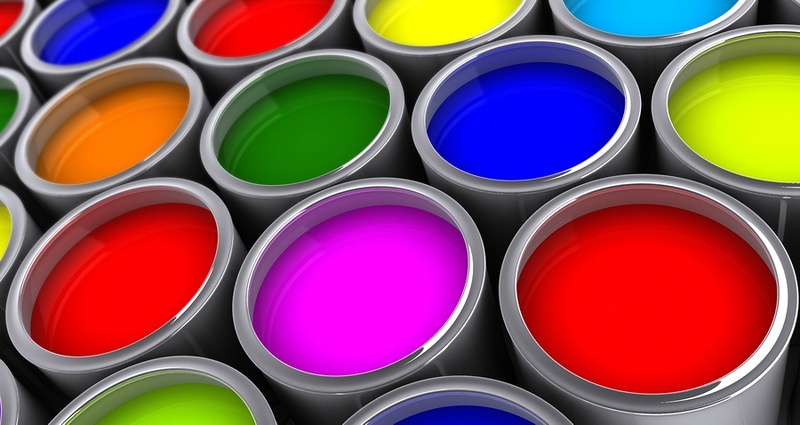 Researchers at the Royal Melbourne Institute of Technology (RMIT) have developed a paint that generates clean energy. RMIT's website reports that the material absorbs solar energy as well as moisture from the surrounding air. It then uses the hydrogen collected for use in fuel cells. This won’t be available for a few years, but it’s an interesting development! Right Paint for Right Climate: Different climates require different paint configurations in order to perform at their best. Places that are hot and dry (like the Southwestern U.S.) need paints that will resist cracking. Here in Florida, we need paints that are designed to resist mildew. Many paint suppliers formulate their paints for specific geographic areas. For instance, Dutch Boy's ClimateGuard paints are formulated with extra “mildewcides” specifically for the Southeastern U.S. climate. Color Wheel Paints (now owned by Sherman Williams) was an Orlando-based point company that knows the needs of the Sunshine State. The previous owners have now launched a new company—Florida Paints—that’s based in nearby Sarasota. They specialize in “Florida-tough paint” designed specifically for our region’s hot sun, high humidity, and wind-driven rain. While getting the right paint for the completion of your remodeling project is critical, getting the overall results you want begins with great design and execution throughout the process. We’d love to help you get the perfect results you want from the remodeling of your Naples-area home.